In this stunning follow-up to her prizewinning debut collection (At the Site of Inside Out), Anna Rabinowitz has created a braided and woven language from the turbulence of multiple voices in the act of finding themselves. Darkling is a book-length acrostic sequence a poem of accretion, of fragmented self and culture. Seeking its own process and form, it assembles narrative by way of antiphony, counterpoint, meditation, chant, repetition and epistle. 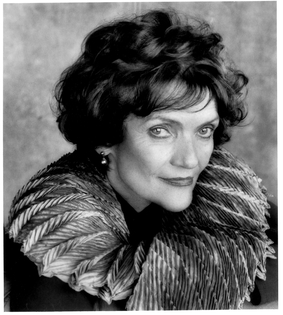 How does a contemporary poet speak in the aftermath of the Holocaust? Is it possible to evoke, perhaps even reactualize, through language, rhythms, and imagery, intimations of the past when factual details are largely lost? Can new constructs of language be generated within the constraints of a received form? Anna Rabinowitz unflinchingly takes on these questions as she looks back on the ruptured history of the 20th century. Drawing on literary roots of Thomas Hardy's ""The Darkling Thrush"" and the ancient acrostic form, she has shaped an utterly original, deeply personal work which is both armature and repository for an emotionally charged language called upon to articulate that which cannot be fully spoken. 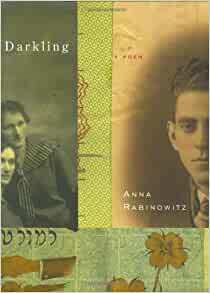 With Darkling, Anna Rabinowitz brilliantly demonstrates that one can, indeed, write poetry after the Holocaust. Anna Rabinowitz, editor and publisher of American Letters and Commentary, won the Juniper Prize for her debut, At the Site of Inside Out. She follows up with the book-length poem Darkling, investigating her family's experience in the Holocaust via a fragmentary recollections and textual reclamation, looking for "the way back to raw footage." The book's short, unnumbered sections jump from tercets of long lines, to prose passages, to segments that all but ignore the hegemony of the left margin, to unmaskings of pseudo-scientific theoretical constructions, which cannot compete with the fact that "hundreds of Jews were laid up in a grid-like pattern.... wobbly reliefs of bodies on/ Cobbled stone." This dense, unsettling volume makes a unique contribution to Holocaust literature. Photos.